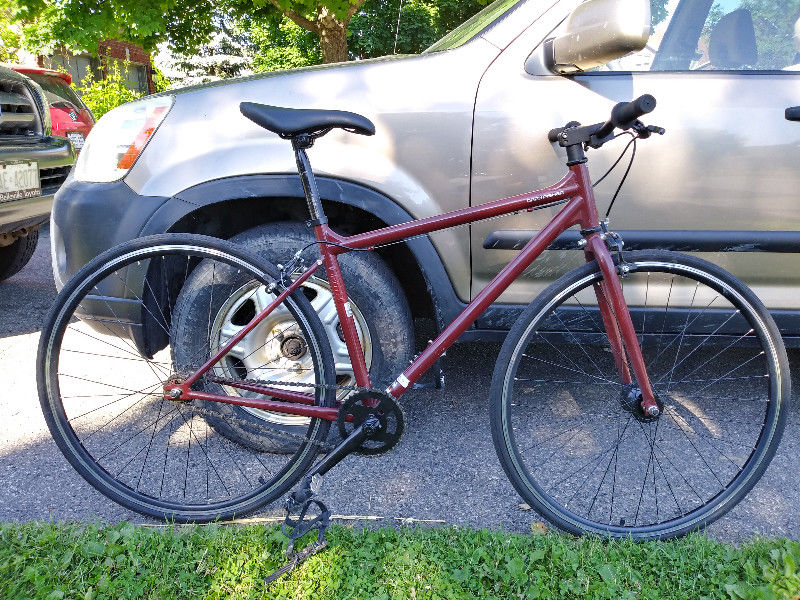 The bike was stolen sometime between 5 and 10pm. Other bikes locked to the same fence were left alone. Lock was missing along with the bike. Attached picture is not the exact bike, but it's the right model and color.